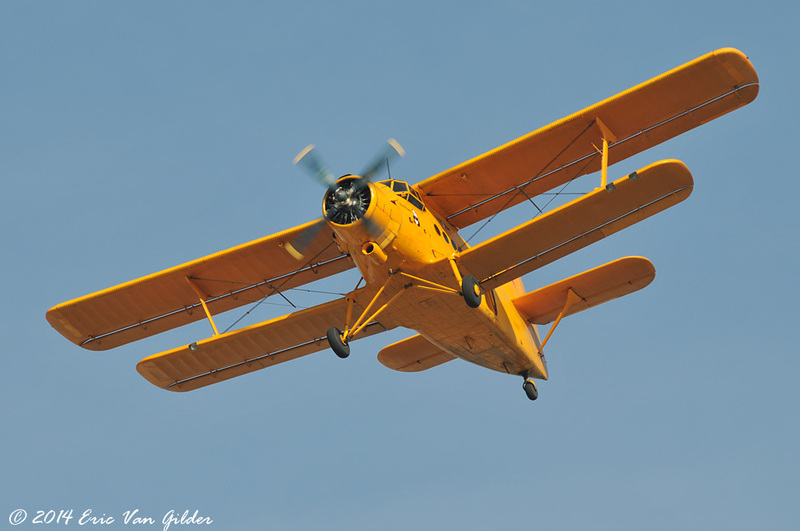 The Antonov AN-2 Colt (N2AN). 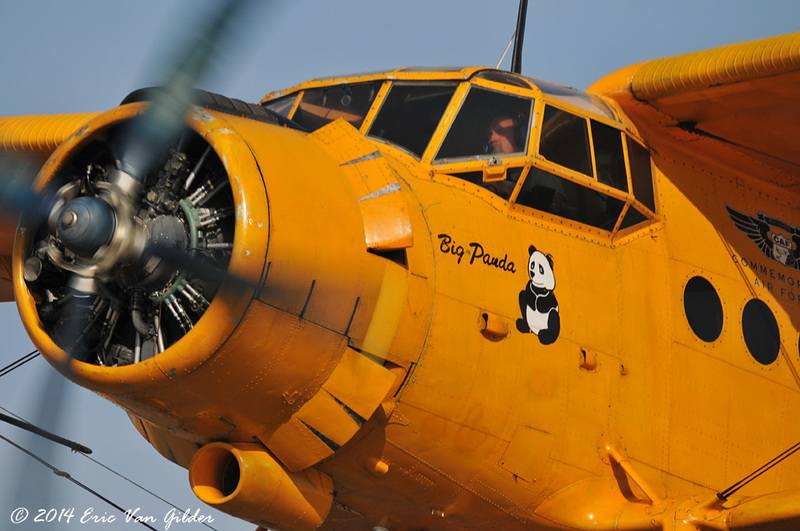 The AN-2 is the world's largest single-engine biplane. The first flight was in August of 1947. The Soviet Union produced them until 1962. Production after 1962 was done in Poland under license. 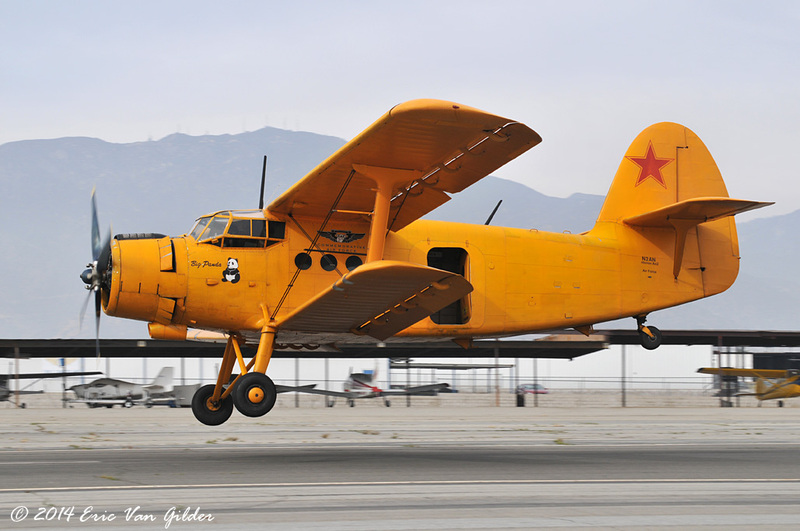 In China, license built AN-2s go by the designation Y-5. 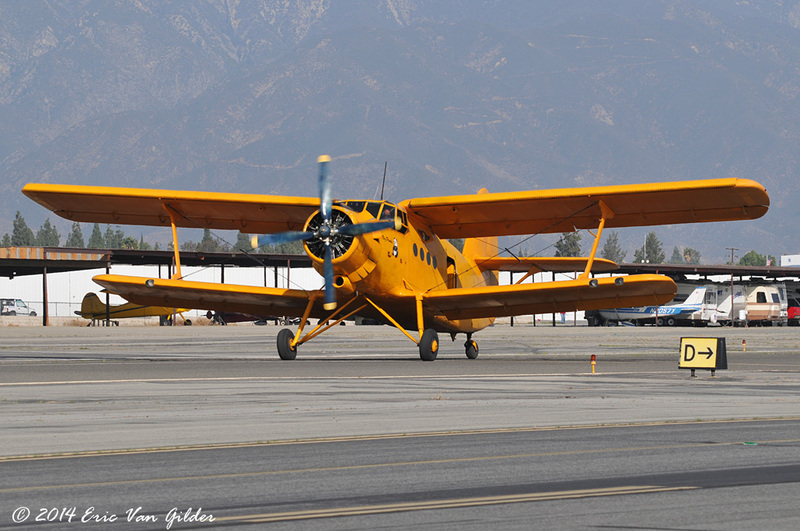 This one was built in 1984 and is operated by the Inland Empire Wing of the Commemorative Air Force. The STOL and slow speed flight characterstics on this airplane are amazing for it's size. 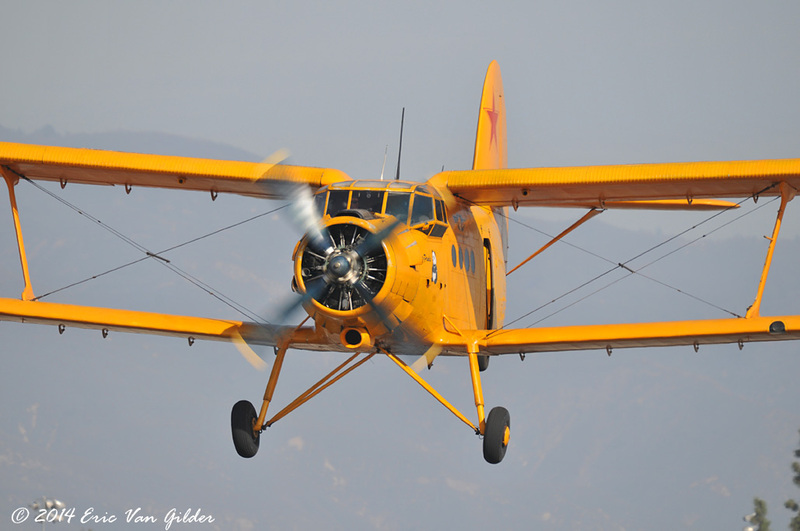 During the show, the AN-2 was flown to drop the skydivers, then flying a couple of passes before landing.